A. Barg is a Professor in the Department of Electrical and Computer Engineering with a joint apppointment at the Institute for Systems Research. He is also an adjunct professor in the Department of Computer Science. He received a Ph.D. in electrical engineering from the Institute for Problems in Information Transmission (IPPI) of the Russian Academy of Sciences, Moscow. He has been a senior reseacher at the IPPI since 1987. He was a member of technical staff of Bell Laboratories of Lucent Technologies in 1997-2002 before joining the faculty at UMD. 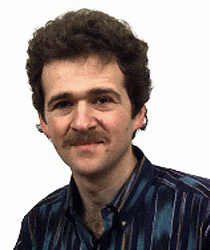 A. Barg is presently (2005) a member of the editorial board of Problems of Information Transmission and of SIAM Journal on Discrete Mathematics. He has previously served as an editor for coding theory of the IEEE Transactions on Information Theory. His research interests include coding and information theory, combinatorics, and cryptography. The paper was published in IEEE Transactions on Information Theory, and was part of Ye's doctoral thesis. The project addresses data storage issues connected with modern, large-scale distributed storage systems. The project addresses fundamental problems in data coding that can improve distributed storage systems. A student of Alexander Barg, Ye will present his work on coding solutions for distributed storage. Award was given for their paper, "A family of optimal locally recoverable codes." Professor Alexander Barg (ECE/ISR) is the principal investigator for a new NSF grant, "Efficient Codes and their Performance Limits for Distributed Storage Systems." Tamo, a post-doc in ECE and ISR under Professor Barg, will join the Department of Electrial Engineering Systems at Tel Aviv University. Mazumdar will be an Assistant Professor in Electrical and Computer Engineering. Research will address the properties of polar codes in nonbinary communication channels. Theory also will have applications in channel analysis, fingerprinting and identification coding, and error-control coding.